Mosquitoes, such as this southern house mosquito, can become infected with West Nile virus. When the mosquito feeds on a human, the virus can be transmitted. Photo by Jim Gathany, CDC, courtesy of Wikimedia Commons. Zipperer and his colleagues recently published a study on the risk factors for West Nile virus in Atlanta, Georgia. The study was led by Graeme Lockaby, a professor and researcher at Auburn University, and published in the Journal of Vector Ecology. The scientists analyzed forest cover, forest composition and other traits, land use and cover, soil moisture, temperature, climate and weather conditions, and a number of socioeconomic factors such as income, education, race and ethnicity. Several characteristics of housing – age, density, landscaping, and others – were also included. The study took place in Atlanta, where West Nile virus is most often carried by the southern house mosquito. 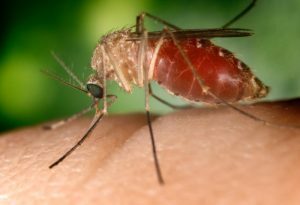 Also known as Culex quinquefasciatus, the mosquito can become infected with West Nile virus when it bites a person who is already infected with the virus, or more commonly, an infected bird. Between 2009 and 2011, Zipperer and his colleagues used trapped mosquito data from 58 sampling sites in metropolitan Atlanta. Around each sampling site, the scientists conducted an ecological analysis that extended just over a half mile in each direction. They calculated percent canopy cover in the entire area, and surveyed vegetation in some stands. “We found that mosquitoes carrying West Nile virus are less common in large forested areas,” says Zipperer. In particular, the presence of pine trees in urban forests was closely related to lower risk from West Nile virus. Urbanization can inadvertently create new mosquito habitat. 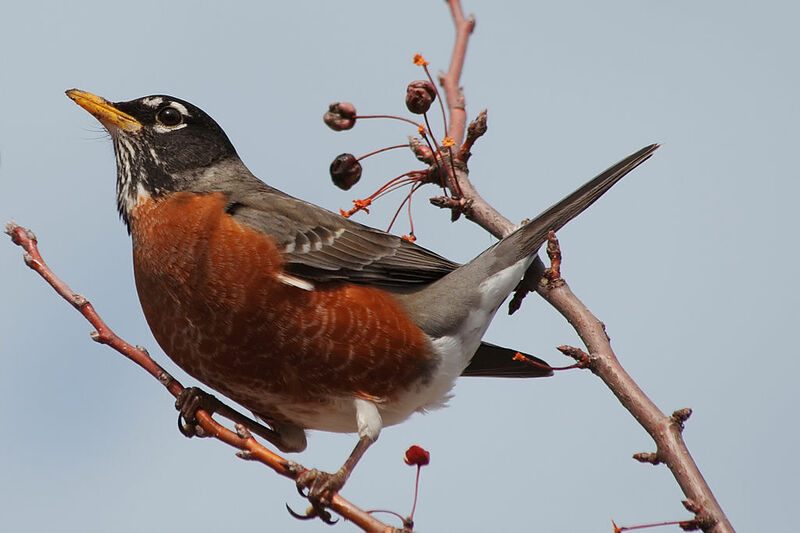 For example, alternating land cover may increase the density of birds, such as the American Robin, which are known hosts for West Nile virus. Photo by Dori, courtesy of Wikimedia Commons. Other scientists have detected relationships between forest cover and West Nile virus, but their conclusions have been mixed – some suggested that urban forest cover increases the risk of West Nile virus. However, the environmental data from many previous studies was general and came solely from remote sensing, rather than vegetation surveys. Of the socioeconomic risk factors Zipperer and his colleagues examined, 3 significant factors emerged: housing density, the number of houses built before 1960, and the number of low income households in a community. Each of these factors was associated with higher West Nile virus risks. Warmer temperatures and wetter soil also increased the risk of West Nile virus. Urbanization and land cover change can inadvertently create new mosquito habitat, as mosquitoes lay their eggs in puddles, pools, old tires, rain gutters, bird baths, and any standing water they find. Indeed, the amount of roads, parking lots, and other impervious surfaces was associated with increased West Nile virus risks.